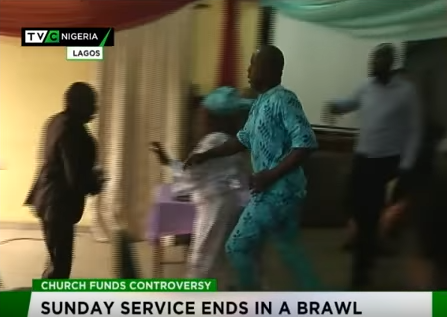 Video;Chaos in CAC church as pastor is beaten and pushed out during service brawl..
Am not sure what emotion to give this story,laugh,smile,frown or cry,I mean what has the church become these days. 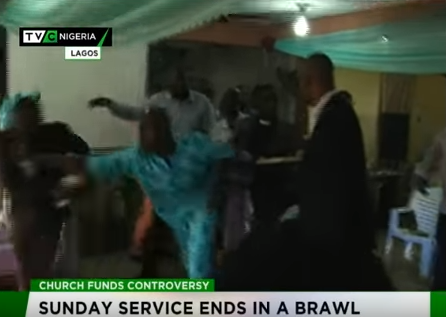 But Members of CAC (Christ Apostolic church)Abule-Ijesha Lagos yesterday Sunday July 24th, Put the D in drama as they threw out their pastor Micheal Oni out of the church during the service over disagreements on money issues.. 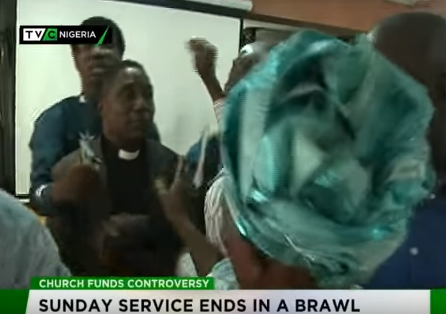 They were virtually shoving their pastor out of the church,they say he has done so many bad things,caused issues within the members and that he demanded for a different level of salary higher than the level indicated on his transfer letter. You would hear a certain man addressing the reporter - "he came with level 7 step 1 from Ibadan and he came here and was demanding level 9.. Like wait is it civil service job lol..? so churches have salary scales too?! waohhhh! And how did the reporter even know something was going to go down in the church as she even documented their praise worship session even before the fight started..